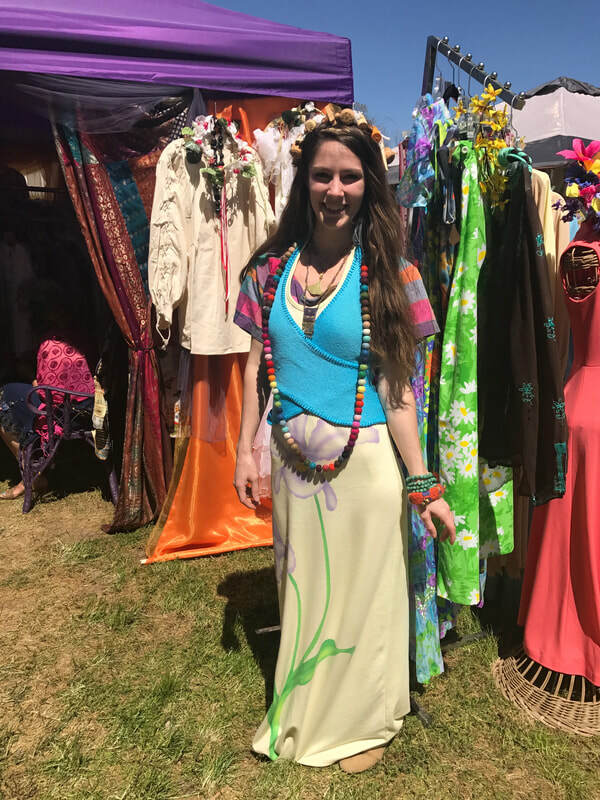 Refabricate the earth by re-fashioning your outfit in a reusable way.​ Shopping hand curated styles by Erika Kelly is for eco-aware fashion minds that appreciate the art of vintage, handmade, up-cycle or resale clothing, accessories and home collectibles. Brands We Sell: Disney, Free People, Anthropologie, J. Crew, Sacred Threads, Nanette Lepore and more! Vibes We Sell: Celtic, Bakelite, Lucite, Knit, Crochet, Comfortable yet eccentric, Leather, Fur, Southwestern, Tribal, Coins, Bells, Kitsch, Indian, Wraps, Flowy, Burning Man Attire, Festival Mania, Tye Dye, Cosplay, Kimonos, Artisan, Artsy Embroidery, Vintage Era's, Rainbow, Colorful, Statement pieces, Theatre Costumes, Steampunk, Rave gear, Everyday casual & artsy apparel. ​Erika also sells her hand-crafted CHARM ART "Eye-Spy"designs on picture frames, mirrors and needlepoint art. Please contact if you would like me to do a booth at your event, fair or festival! Themes can be Gypsy or Disney/Popular brands. Hand-designed, recycled bottle top earrings by Erika.